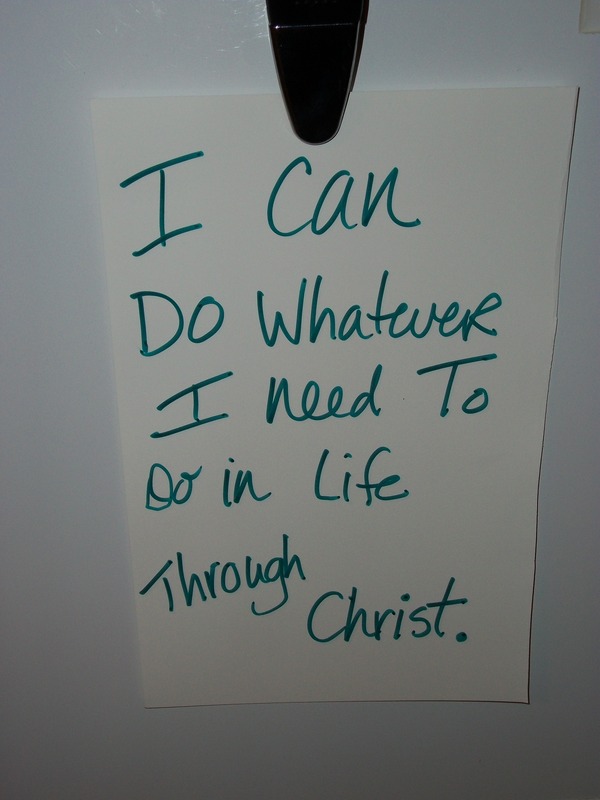 The first power though to work with in Joyce Meyer’s book Power Thoughts is this Whatever I need to do in life I can do through Christ. 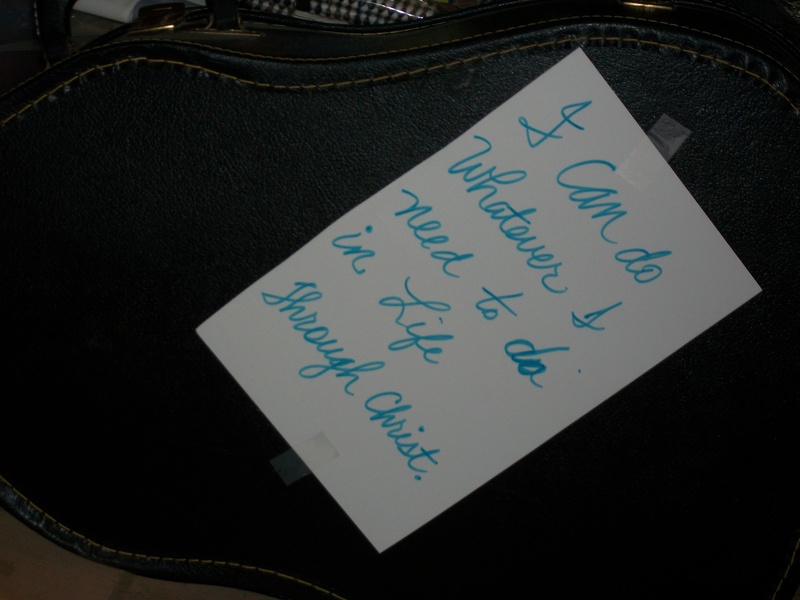 Yesterday, I made signs proclaiming this thought, and posted them all kinds of places–in drawers, on my guitar case, on the front of the refrigerator. Then later, I played Scrabble with my husband and won. He said that it was because my signs were giving me power. He was kidding of course, but there is no doubt that there is power in holding onto the belief that I can do whatever I need to in life through Christ.